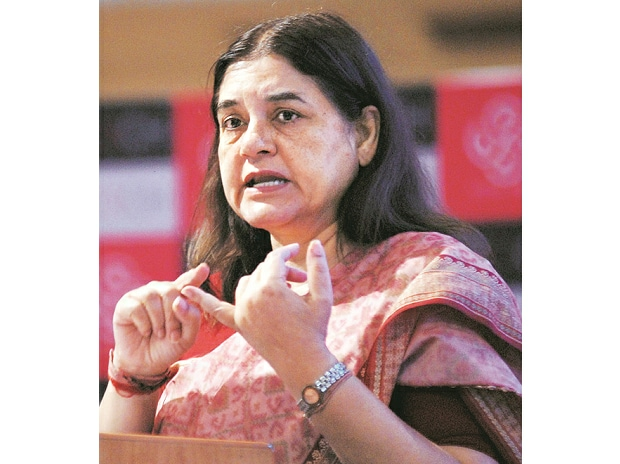 In a controversial remark, Union minister Maneka Gandhi told Muslims to vote for her as they will need her once the Lok Sabha elections are over. We are not Mahatma Gandhi's children that we keep giving and not get anything in return, she said in Muslim-dominated Turabkhani area on Thursday. If Muslims come for some work after this, I will think why bother, what difference will it make. Suggesting that it was matter of give and take, she added, We are not Mahatma Gandhi's children to keep giving without getting anything in return. The minister asked them to check with the people in Pilibhit, her earlier constituency. If there is even one person who says there had been something wrong on my part, don't vote for me, she said. Gandhi said she had come with an open mind and they may feel that they might need me tomorrow. This election I have already won, and you will need me and want to lay the foundation for this." She also asked people to pass on this message to others. Maneka Gandhi's remarks follow other controversial references to the Muslim electorate during the Uttar Pradesh campaign. At her recent election meeting in Saharanpur's Deoband, Bahujan Samaj Party leader Mayawati asked Muslims to support her alliance with the Samajwadi Party instead of splitting their vote by opting for the Congress. In a rejoinder to this remark, Uttar Pradesh Chief Minister Yogi Adityanath brought up the controversial Ali-Bajrang Bali reference at an election rally. "If the Congress, the SP and the BSP have faith in Ali, we have faith in Bajrang Bali," Aditynath said. Lord Hanuman is called Bajrang Bali while Ali is a revered figure in Islam. The Election Commission has sent Adityanath a notice on what could be a violation of the model code of conduct.